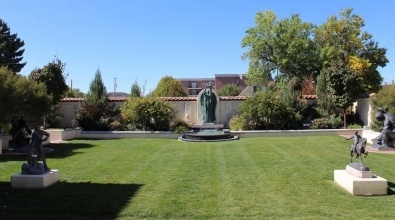 The most recent addition to the Museum, the Stewart Sculpture Garden was completed and dedicated on July 6, 2009. LDS Apostle Dallin H. Oaks gave a dedicatory prayer soliciting a blessing upon the Garden and the Art for the inspiration of all visitors. 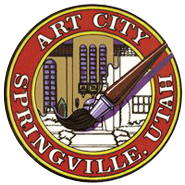 Governor Gary Herbert addressed the throng of nearly a thousand people, insisting that only Springville could have built such an edifice. The centerpiece of the Stewart Sculpture Garden is a magnificent classical 1917 bronze by Cyrus E. Dallin entitled, The Spirit of Life. Two 1912 flanking monumental bronzes by Mahonri M. Young of The Stone Mason and The Blacksmith, in social realist style, lend their power to the grouping. The garden and the Museum grounds are a splendid complement to the many sculptures on display.